Location: Emirates Towers area, on south side of Sheikh Zayed Road. 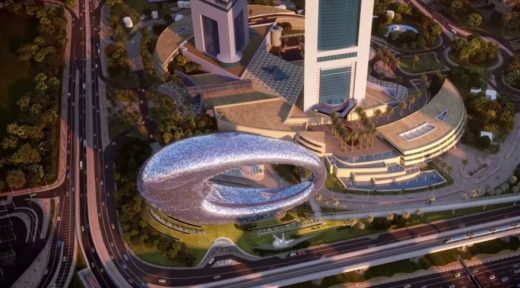 Dubai’s next architectural ambition: the Museum of the Future. The $136-million attraction is scheduled to open in 2017 but having walked past the site last week I am guessing late 2017 at the earliest. 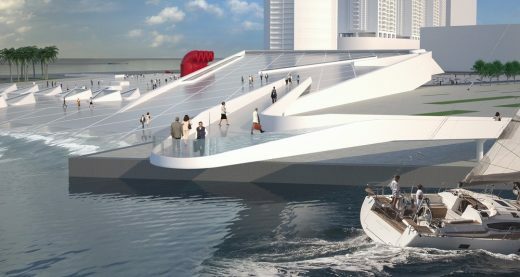 As the name suggests, the building will be bold and imaginative, pushing the boundaries of architecture and design. 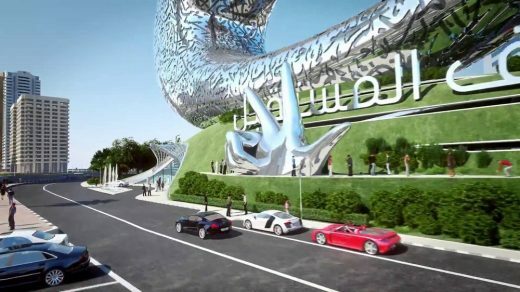 The museum has been designed by architect Shaun Killa, who left his role as design director of Atkins Dubai to set up his own architecture practice, Killa Partnership about two years ago. Shaun studied architecture at the University of Cape Town and worked for awarding winning firms in South Africa. He moved to Dubai and joining Atkins in 1998. 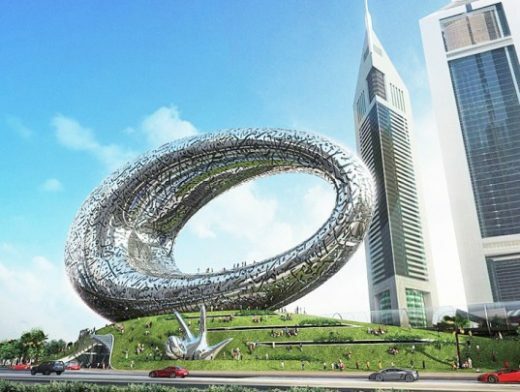 He worked on the Burj Al Arab and became design director for Atkins Dubai. 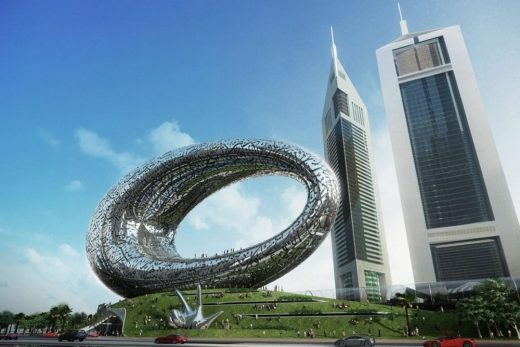 The architect designed the world’s first large scale integration of wind turbines on the Bahrain World Trade Centre. 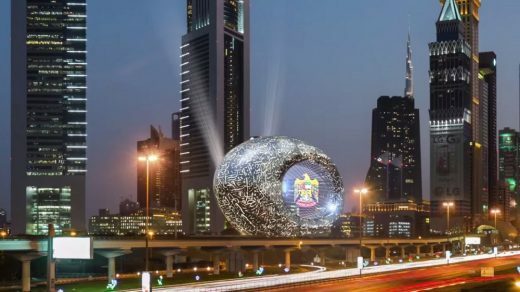 The oval-shaped building with a hole will center on a holographic billboard and feature exhibits on different areas of innovation from education to healthcare. Large components of the building will even be 3D printed for the cause. 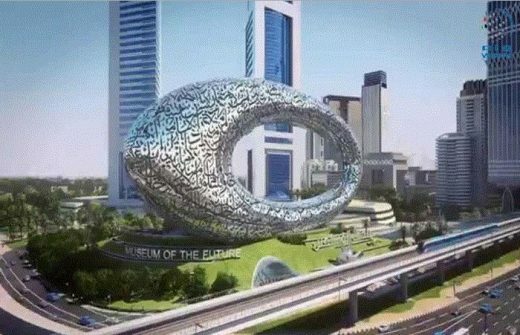 In March 2015 construction has begun in Dubai on the $136-million museum. 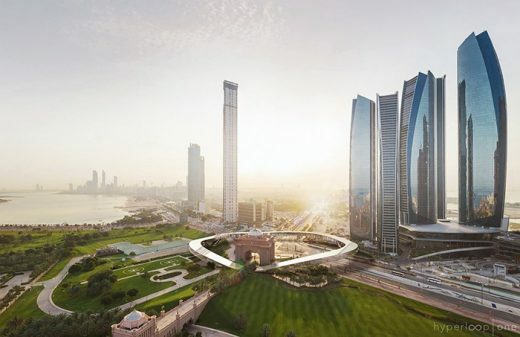 Nestled beneath soaring skyscrapers in the posh Emirates Towers area, its oval design is genuinely striking (even if it slightly resembles a cross between the Chicago bean and a NuvaRing). 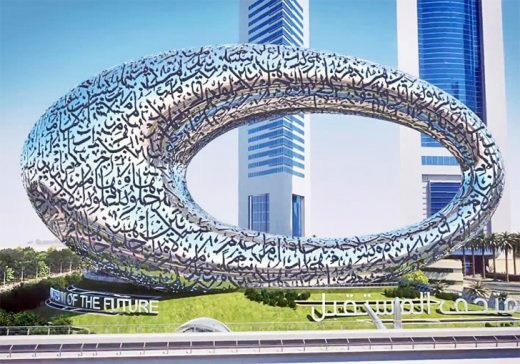 Poetry by UAE Prime Minister Sheikh Mohammed Bin Rashid Al Maktoum repeats in patterns across its shiny exterior. 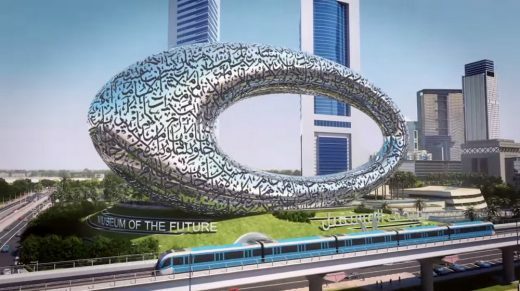 Light enters the building through the perforated text, bathing visitors in glowing Arabic script. Industry journal Middle East Architect magazine has published its annual Power List of 40 most powerful architects in the Middle East 2017 – and Killa Design is proud to have Shaun Killa top the list at #1.